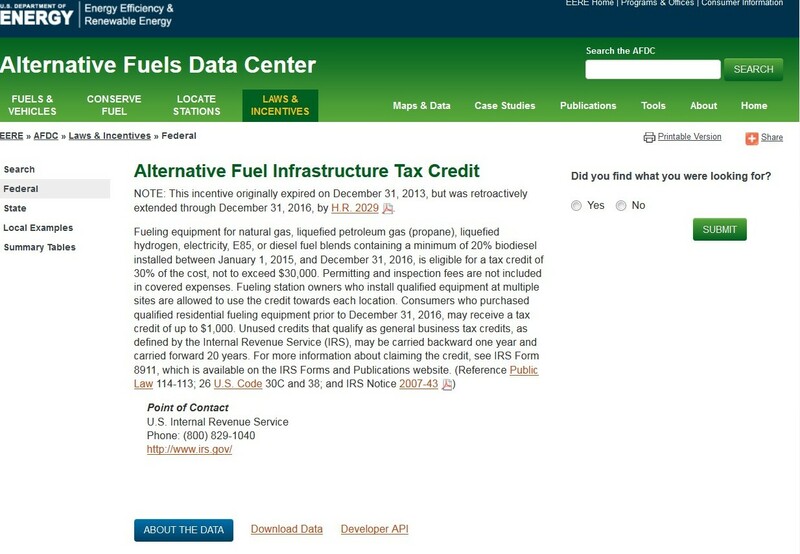 Information on the Alternative Fuel Infrastructure Tax Credit, a credit for 30% of the cost (not to exceed USD 30,000) that applies for hydrogen and electricity fuelling/charging equipment. Benefits: Public and operational benefits of ZEVs including environmental protection and improved vehicle performance. Charging/Fueling Infrastructure: Charging and fueling station locations, technology, and costs. Costs: Vehicle total cost of ownership, which includes initial costs as well as operating and maintenance costs. Driver Orientation: Introductory content for driver training: terminology, vehicle types, charging station access, etc. Educating Organization Leadership: Resources for decision-makers on topics such as ZEV deployment policies, strategies, challenges, and opportunities. Fleet Audit & Analysis: Guidance, tools, and examples for strategic planning and procurement decisions. Location Specific: Resources and information specific to a city, state, or region. Maintenance: Information related to vehicle and charging/fueling infrastructure maintenance. Market Analysis: Past and future ZEV market conditions. Financing: Strategies and tools to encourage private investment. Partnerships & Networks: Formal or informal stakeholder groups convened to address cross-sector issues. Public Incentives & Policies: Government resources that encourage ZEV and infrastructure deployment. Vehicles: Vehicle model information on technology, pricing and cost comparisons, and availability.